Sail, sip, and enjoy stunning coastal views on this cruise of Cartagena Bay. An open bar keeps you refreshed throughout the trip, and snacks are available for purchase. 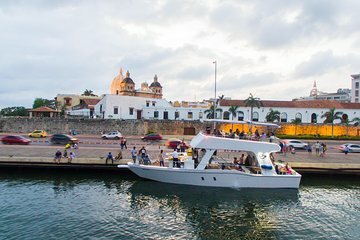 Plus, this Cartagena Bay catamaran cruise is limited to a small-group tour of 12 people or fewer, making for a more intimate experience watching the sunset over the city.